As a global movement, Coworking has taken roots in India the last years. 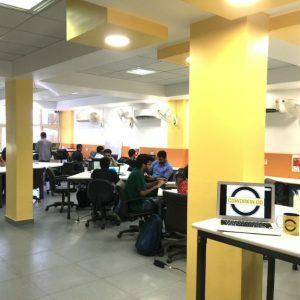 A couple of hundreds of coworking spaces are now in operation in India. Mentioning coworking space means we don’t take into account, here, basic shared spaces environments without services and (semi-)open access. Well workspaces associated with an identity and a community, mainly dedicated to digital workers of any kinds. About one third took part in the Coworking India Survey 2016 produced by SocialWorkplaces.com prior to the Coworking India conference, on September 9-10th, 2016. Here are some key data disclosed during the event which gathered close to 120 coworking operators and pundits from the whole country. So far, there is less coworking spaces in India than coworking spaces operating in the London area alone. That said, though, on average, coworking spaces operating in India seemed wider in space than the average noticed in Europe, for instance. More than one third of the interviewed coworking spaces manage a facility more than 1.000 m2 wide. Likewise, the average size of coworking tenants each coworking deals with seems to be wider than the average observed in Europe, although the number of operating coworking spaces is much higher over there. 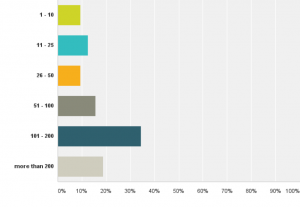 According to the data, one third of the surveyed coworking spaces caters between 100 and 200 members at least. India wants to put itself as a startup nation. No surprise that a big deal of the coworking spaces who replied to the survey are targeting startups and digital entrepreneurs. So, it is not amazing that more than 50% of the interviewed spaces described not only themselves as coworking spaces but also as Incubation/Acceleration program providers or sometimes TechHubs. 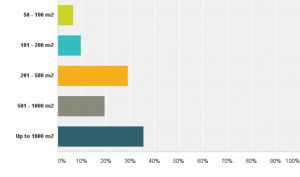 Contentwise, the community building activity is definitily as critical for the Indian coworking scene as it is elsewhere, show the data collected for the Survey. More than 2/3 of the Indian coworking spaces organize in house events at least once a week. The Coworking industry in India seems for sure ready to take off confirmed attendees at the first Coworking India conference. Download more facts & data from the Coworking India 2016 Survey providing your information here below.